Back in the 90s there was a wildly popular hat stand on the Argyle market in Glasgow, Scotland. The stand was owned by an enterprising woman who would import some of the most limited snapback hat series from North America. The stand was known particularly for its big logo snapbacks by The Game. Kids would come to the stand every weekend, pockets chinking, looking for the freshest hats. Some of those fans have amassed some of the most amazing collections known to man. The stand has long gone, but the demand hasn’t. 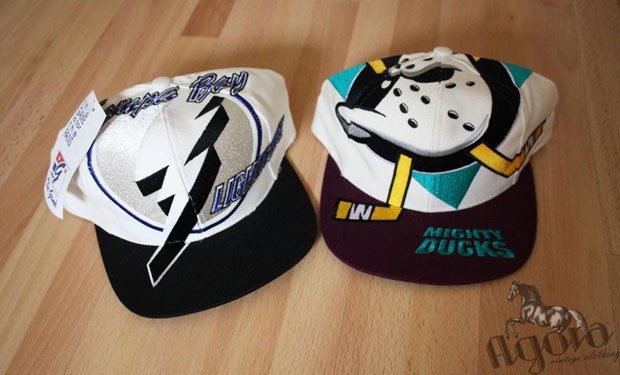 Now 25+ year old Glaswegians nostalgically crawl ebay looking for the hats they were never able to get hold of, or lost sometime in their younger days. Oddly, the Starter Shockwave, velcro fit hat was another huge line. We only mess with the snaps. So here’s a few new treats for those north of the border. 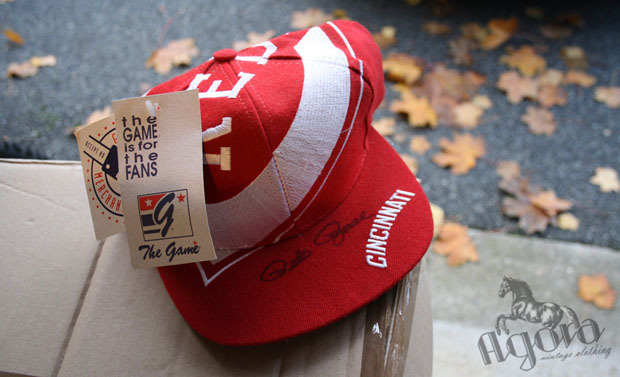 This entry was posted in cincinnati reds, glasgow snapbacks, mighty ducks, starter. 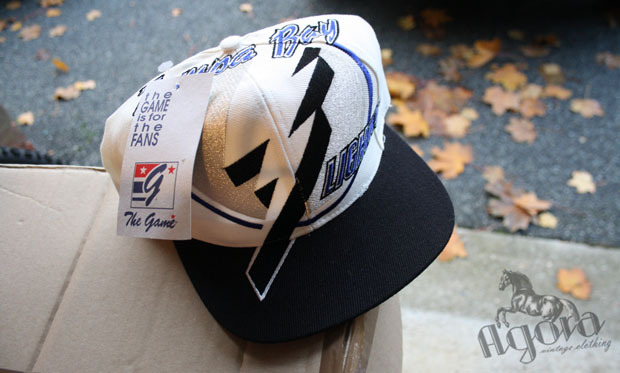 vintage snapbacks, tampa lightning, the game all over print snapback, the game big logo snapback, uk wholesale on November 4, 2011 by agora.